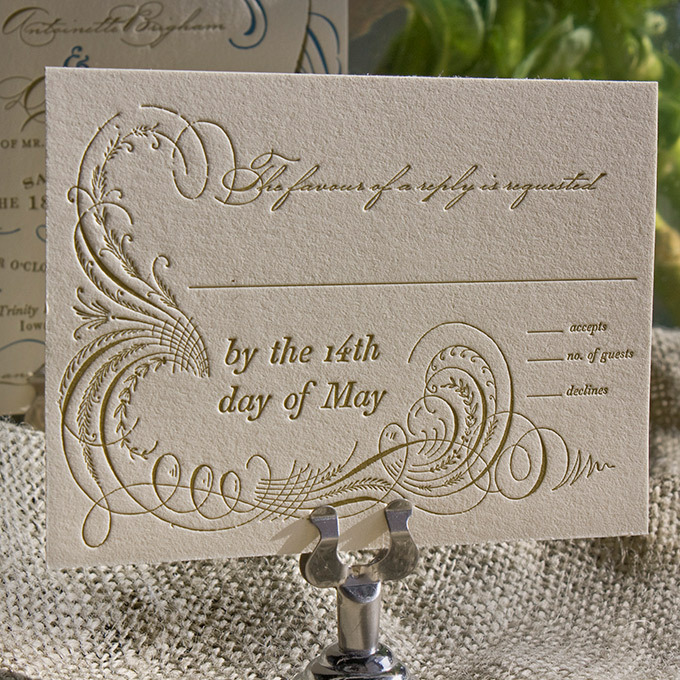 Our wedding is so different and for any bride that doesn’t fit into a box, Erin is so creative at helping you customize what you want to do. 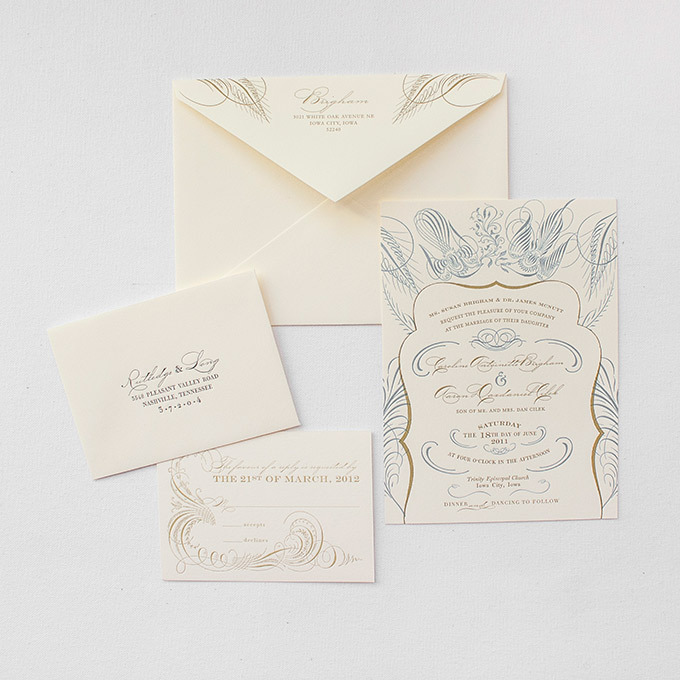 Inspired by the glamorous 1920s, the Deco suite is adorned with Spencerian script, calligraphic doves and resplendent feathers. 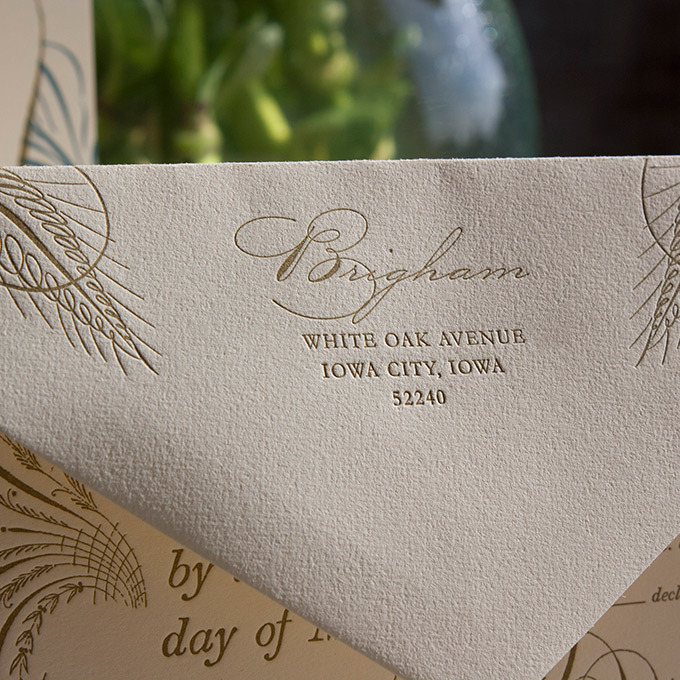 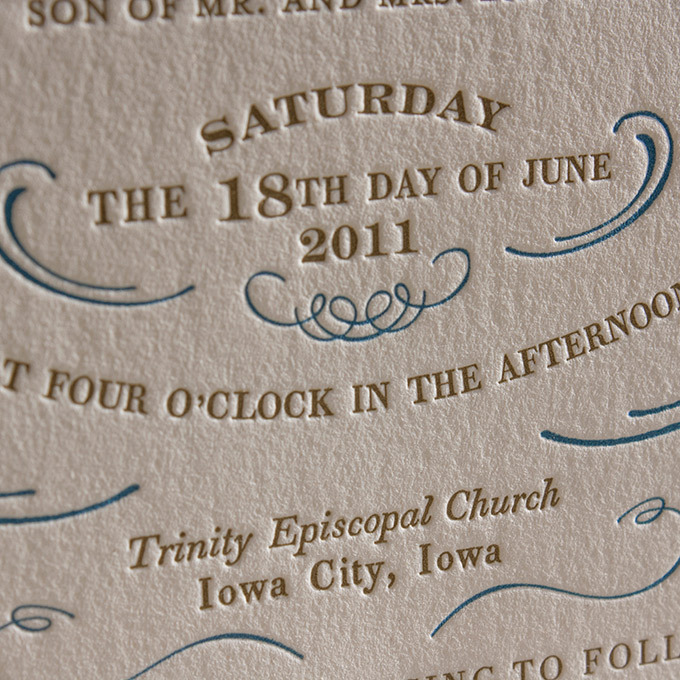 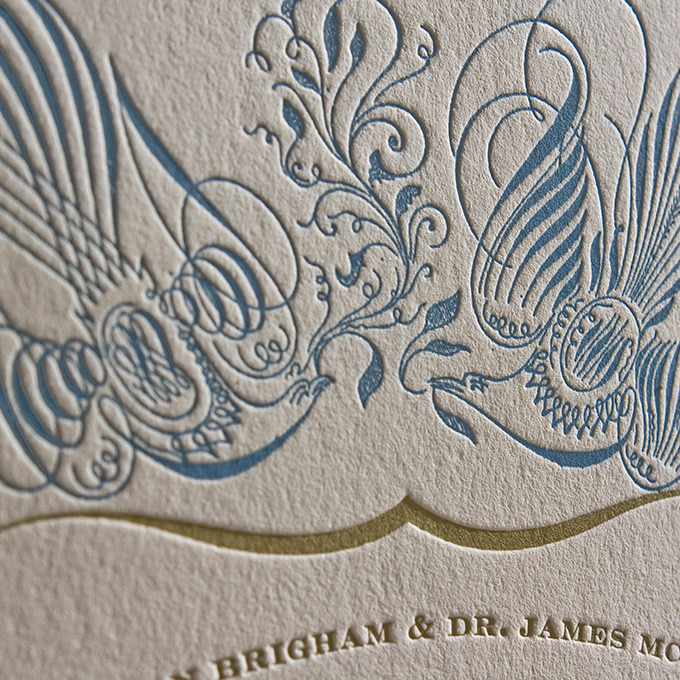 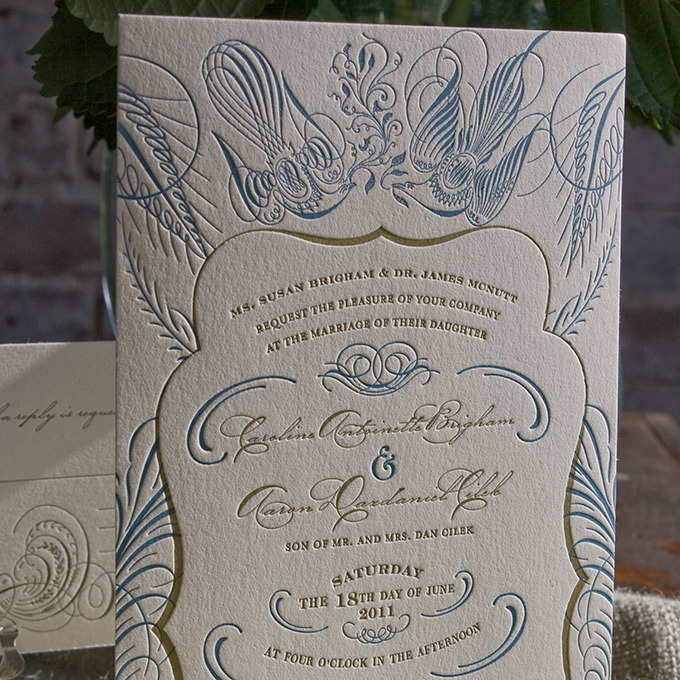 We especially love this design in metallic gold ink.